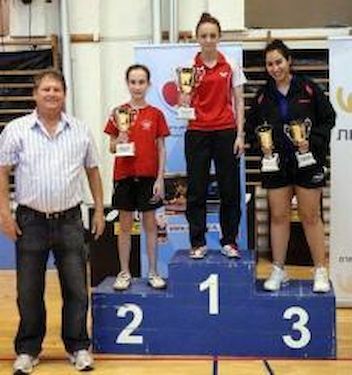 18/04/2011 – In the Wingate Institute Complex near the city of Netanya Omry BEN ARI and Nicol TRUSSMAN become the new Israeli champions. BEN ARI (20 year-old) from Ironi Givatayim beat in the final Yaniv SHARON . Champion trailed one game to three, before recovered to win 4:3. Nicol TRUSSMAN is only 14 and half years old and she play for E. Kiryat Ata club. In the final TRUSSMAN beat Nelly SOIFER 4-0.